Great value, great views, top schools and excellent shopping and recreational facilities… the New South has it all, and even offers easy and less-congested access to the Johannesburg CBD and other parts of the metro. So it is no wonder that there is constant demand for properties in core suburbs such as Bassonia, Glenvista and Mulbarton, or that sales in these areas have held steady over the past two years despite rising inflation and interest rates, says Jacques Bronkhorst, owner of the Chas Everitt International Glenvista franchise. “At the moment, there is particularly brisk turnover at the lower end of this market, with lots of young buyers coming in and purchasing three and four-bedroom houses as well as townhouses and apartments. And because we have such a great team of highly-trained and enthusiastic agents working in these areas, we are finding that any property priced at less than R2m currently has an excellent chance of being sold within a month – while in some areas we are seeing our new listings sold before they even go on show. In Mulbarton, he notes, the average house price has risen 25% from around R1,4m five years ago to about R1,75m currently, but good-quality three-bedroom freehold homes with two bathrooms and double garaging are still available for around R1,3m. “Stands are generally quite large at between 980sqm and 1350sqm, and with modernised kitchens and bathrooms and the addition of an outdoor entertainment area, such homes can easily sell for R1,7m and even more. “Meanwhile, the suburb also offers luxury hillside homes with four and five bedrooms and panoramic views at an average price of around R2,4m – which is exceptional value if one also considers the location and convenience of the area. There are more than 20 public and private schools within a 5km radius, including Mulbarton Primary and Glenvista High, and most homes in the suburb are also just a few minutes’ drive from the Mall of the South, the multibillion-rand regional shopping and entertainment centre that opened just over a year ago. This club, with its magnificent golf course, lies at the heart of Glenvista, which is a large hilly area offering a wide variety of homes to suit all types of buyers, from one and two-bedroom apartments to solid family homes, luxury townhouses and palatial mountaintop villas. 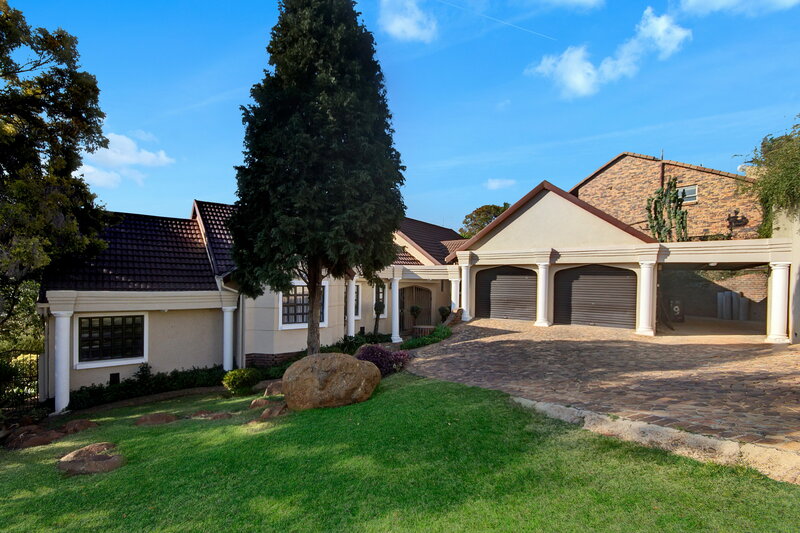 However, says Bronkhorst, the majority of buyers (about 50%) in this area are young families with growing children, so the most commonly traded properties here are three and four-bedroom, two-bathroom family homes on stands of about 1000sqm, at prices ranging from about R1,7m to around R2,4m. Prices are also rising in neighbouring Bassonia, he notes, where the average house price of R2,4m is currently about 29% higher than it was five years ago. “One reason for this is the limited amount of stock coming on to the market, because once people have bought a home in Bassonia, they are often reluctant to move. “Prices here are also somewhat higher than in the neighbouring suburbs, but we receive a constant stream of enquiries from young professionals for two-bedroom apartments and townhouses at prices from around R750 000 to about R1,25m, and from family buyers aged between 35 and 50 for upmarket three and four-bedroom houses at prices from around R1,8m all the way up to around R4m. Glenvista: This superb four-bedroom, two-bathroom home in the best part of Glenvista is on sale through Chas Everitt International for R2 999 000. It also offers three living areas leading to the patio and pool area, a study, fully-fitted kitchen with separate scullery and pantry, staff accommodation, a double garage and excellent security provisions. Mulbarton: This low-maintenance home in Mulbarton is for sale through Chas Everitt International for R2 125 000. It offers four bedrooms, three bathrooms, large open-plan living areas and a spectacular view from the entertainment patio and pool, as well as staff accommodation, a double garage and excellent security provisions. Bassonia Estate: This stylish multi-level home occupies a prime position in Bassonia Estate. It offers three bedrooms, two bathrooms, three spacious living areas, well-appointed kitchen, covered patio, pool and four garages, and is on sale through Chas Everitt International for R5 500 000.